Domaines Barons de Rothschild has begun construction of a winery in Penglai in China’s Shandong province in order to capitalise on the thirst for fine wine in Asia. 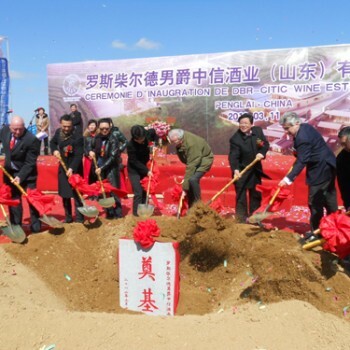 In partnership with CITIC East China Group, the new winery, in the only coastal wine producing area in Asia, is expected to produce 120,000 bottles of wine a year. After fifteen years of research on grape planting in Asia, Lafite selected the port town of Penglai as the optimum site for its Chinese property. The company has invested £10m in the 1.73 hectare winery, and the accompanying 25 hectare estate. 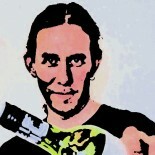 A completion date for the project has yet to be given. Lafite will plant different kinds of grapes in accordance with soil constituents, without the use of chemical fertilisers. “The world’s top luxury brands are all very interested in the Chinese market, Rothschild is no exception,” said Zhang Lu, a Shanghai-based analyst at Capital Securities Corp.
Outside France, Lafite also owns Bodegas Caro in Argentina and Viña Los Vascos in Chile. Penglai has a quality grape growing area of more than 10,000 hectares. Wine production in the region has doubled to 140,000 tons in 2011 from 2005, while the number of winemakers increased to 70 from 39 in the same period. Chinese wine imports meanwhile, were worth over US$1.27bn last year, after an annual increase of 88%. According to the latest figures from Vinexpo, Asia is on course to become the world’s second biggest market for wine within the next three years. Chinese consumers will increase the amount of wine they drink by 54% by 2015 as consumption reaches 1.9 to 2 liters per person, the Vinexpo study found. The value of wine purchases may outpace volume in the next four years, helped by high-end consumption in China, which is now the fifth largest wine market by volume. This entry was posted on March 15, 2012 by The Oenophiliac in News. and tagged Asia, barons de rothschild, China, chinese wine, coastal wine, Domaines Barons de Rothschild, hectare estate, Lafite, Penglai, Shandong Province, soil constituents, travel, wine.